Mood board: Davide Martello’s first runway show for classic menswear brand Boglioli took a leisurely twist on beautiful tailoring. Best in show: The Milan brand’s classic trench coats were particularly excellent this season. 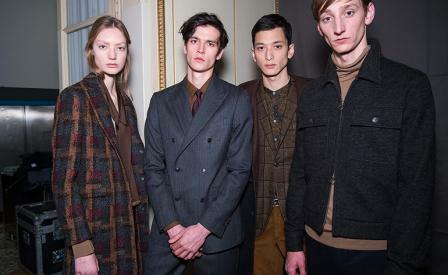 Also noteworthy was the introduction of womenswear including a mannish suit in a rich burgundy. Finishing touches: Slim chocolate brown document holders completed season’s colourful boardroom offering.